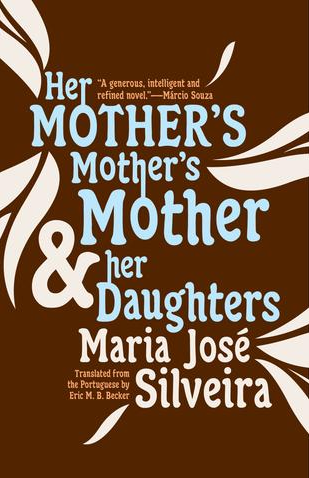 The following is from Maria José Silveira’s novel, Her Mother's Mother's Mother and Her Daughters. Subversive and refreshing, Silveira blends great storytelling with personal politics to critique the machismo, authoritarianism, and abuses of power prevalent in Brazilian culture. Maria José Silveira is the author of ten novels, including the prize-winning Her Mother’s Mother’s Mother and Her Daughters, the film rights to which were sold to TV Globo. It was easy to see at first glance that Lígia was a determined person with her own inner light. Old Man Damasceno had certainly noticed it. He was filled with tenderness for the girl and was like a grandfather to her, always only too pleased to do everything she wished. It was he who taught her how to play guitar, master capoeira, and view spirits as a natural part of the world. But one day he opened the little girl’s tiny hand to look at the lines crossing her palm. He’d done it without thinking, almost joking, something the old man never did because he never read the palms of children and never read the palms of those he considered family, and Rosa’s family was his family. But you tell me why people suddenly decide to do things they’ve never done before! It’ll take you a lifetime to figure it out. This had been before the family’s move to Brasília. Until the old man died at somewhere around the age of 100 (no one knew his age for certain), Lígia always returned to spend school vacations in the old house, with the old man, his old guitar, and his stories. Lígia had been twelve when the family moved to Brasília. She grew up watching as the city grew with her—and not just any city, but the most beautiful and modern city that had ever existed, the magic city on the savanna—and she grew up believing that anything was possible. It was possible to transform the country into a land with justice for all, it was possible to make men brothers to each another, it was possible to end poverty. At the age of eighteen, she took her entrance exam for architecture school at the Universidade de Brasília, which had just been founded in the nation’s new capital. It was 1963, three years after Juscelino had left office and exactly one year before the military coup that would depose President João Goulart. At that time, Lígia didn’t formally belong to any political group. She merely got together with friends to read about and discuss Marxism. They’d read The Communist Manifesto, The Part Played by Labour in the Transition from Ape to Man, The Eighteenth Brumaire, and had just begun to read Capital. They were young and enthusiastic at the possibilities opened to them by a knowledge that brought with it the need to understand the world and change it. Soon afterward, in the tense days of early April 1964, a wave of arrests swept through the country, taking with it union leaders, students, professors, and workers. Radio stations, under heavy censorship, spent the day playing solemn classical music, spreading across the airwaves the funereal certainty that something very grave and very terrible was taking place. Troops were on alert in their barracks and no one went out at night; the cities declared curfews, everything was still. Then came the depressing period of the deposition of senators and deputies, visits from the secret police, and the first wave of Brazilians forced to go into exile. It was the first time that the entire country, from north to south, had experienced the same atmosphere of repression and fear, the stifling air of a military dictatorship. Lígia and her friends were perplexed by the events unfolding before them. Since life always has the power to resume its course, no matter how improbably, things eventually seemed to return to a tenuous norm little by little. Classes resumed at the university and the students once again began to organize politically, and there was a rebirth of political parties and movements opposed to the military regime. Suddenly it was as if the country was undergoing a flourishing and unexpected cultural explosion. Those were the years when the military dictatorship, preoccupied with destroying Brazil’s political and economic life, instituted a sort of informal ceasefire, leaving some meager space at the margins that led to a burst of creativity. 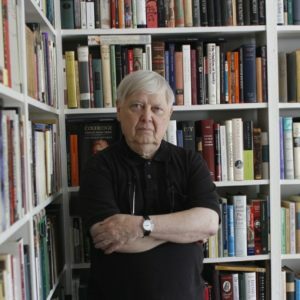 The result was cultural guerrilla-warfare, and those in film, theater, music, and literature harbored the illusion of living in a free country and began to make some serious noise. Chico Mata first saw Lígia in the university auditorium, just before a student rally was about to begin. She was leaning over to speak with someone sitting in one of the chairs of the packed auditorium; he was trying to bring a bit of order to the space, which was bursting with students, and tapped her on the shoulder with the intent to ask her to take her seat, as their companheiros were about to begin. When Lígia swung her head around to look at him, her hair long, her face framed by bangs that covered her forehead, he found himself before the largest, brightest eyes he’d ever seen. He was caught with his mouth literally agape at the size of those extraordinary eyes. Lígia’s eyes truly were that—extraordinary. There were some who thought them too exaggerated, bringing imbalance to the face of the doll-like young woman, who was petite in every other aspect. But there were those, like Francisco, or Chico, as his friends called him, who considered her eyes the most astounding and luminous they had ever seen on this earth. But at that time, if someone had asked her what she most liked about her own body, Lígia would have said her hair, not her eyes. Her hair was the focus of her vanity, her private obsession. Ever since she’d been a teenager, she’d collected recipes for homemade creams and hair treatments, and spent her time trying the most varied combinations of eggs and olive oil, tea baths, and all sorts of other things. At night, she would brush her hair religiously before twisting it up around her head, tucking it under a hairnet—only then would she go to sleep. Oh, that hair! It often caused her to enter a rather special sort of trance. When she went to the cities of Minas on a student tour to see the region’s Baroque art, what most fascinated her about the works of the sculptor Aleijadinho was the wavy hair of his prophets, the curls he made fall with a curiously natural exuberance, delicately framing the severe expressions of the sculpted creatures. Lígia spent hours trying to reproduce the same waves with her own silky black hair. It was also on account of these prophets and their hair that she never forgot the ruins of a tiny chapel she found in a little village, its few houses nearly all as abandoned as the chapel itself, where the family had stopped once when they left Brasília on vacation. The little village didn’t even have a name, as they were told by an elderly man at the roadside tire stand, but it was known as Capela. They hadn’t planned on stopping there, but were forced to due to some car troubles. While her father and the man from the tire stand fixed up the car, Lígia set out with her brothers to explore the locale. They’d discovered the tiny chapel on the top of a small slope, its walls lined with shelves holding tiny statuettes of saints carved from blue-green soapstone, their white hair falling to their feet in waves. Lígia stood there for a good long while, completely quiet, admiring the statuettes. Oh, she could hardly resist taking one of those saints home with her! The chapel was practically abandoned, and it left the impression that other tiny statues had been taken from it as well; there were several empty spots along the wall, like ancient wounds, but Lígia—understand it if you can—didn’t have the courage to go through with that petty but profane theft. For some reason she couldn’t explain, though, she would always be flooded with emotion whenever she recalled those tiny images of the saints, and would regret lacking the courage to take one with her, since it no doubt wasn’t long before the tiny chapel would be completely vandalized. Chico Mata was also an architecture student. He came from the backlands of the southern state of Sergipe, the son of poor farmers, and had only made it to college out of great determination. A spindly boy, his skin tanned dark by the scalding Northeast sun, he was a backlander of few words and gentle manners. He’d invited Lígia to be part of a study group focused on the works of Lenin and Che Guevara, and that’s how the two began their relationship and their political activism. Lígia liked Chico’s quiet and reserved manner, his quick and expansive intelligence. She liked his legs with their knotty forests of curly hair. And his broad chest, where she could lay her head and dream. Soon after graduation, they were both hired by the university as graduate teaching assistants and moved into one of the modest apartments on campus. Less than a year later, in 1968, Lígia became pregnant. The sight of her petite figure with its protruding belly was guaranteed in all the political marches, on all the outings to spraypaint messages of resistance on city walls and façades, in the distribution of pamphlets, in running from tear gas, police horses, and billy clubs. Maria Flor was born under a full moon, and her birth coincided with the arrival of the country’s darkest moment, AI-5—the Fifth Institution Act—ushering in a fiercer repression, the end of the cultural ceasefire, and the determination of the generals to eliminate any form of opposition to the dictatorship. In their modest apartment on the university campus, the Beatles’s White Album played until it almost split in two. The posters and the graffiti seemed to age prematurely: “Forbidden to Forbid,” “The Earth is Blue,” “May a Thousand Flowers Bloom.” Faces everywhere carried tense and somber expressions. From one moment to the next it became clear that the revolution could not be launched from the universities. The military dictatorship had adopted a harder line, the party was over, and the promise of tomorrow was no longer the same; it was and for years would remain overshadowed as the resistance was driven underground and a bloody fight to the death began between the status quo and utopia, between the injustice that was, and the thousand of possibilities yet to be discovered. Between the military’s professional killing machine and the improved tactics of the resistance. Like thousands of young students, however, Lígia and Francisco saw no other option than to join the armed opposition to the dictatorship. The open war on students and left-leaning groups declared by AI-5 had escalated. In response, these groups became increasingly radical. Chico and Lígia, wanted by the Brasília police and unable to move through the city because they were far too recognizable, saw themselves forced to leave. They decided to flee to Rio de Janeiro. It was painful to leave Maria Flor with her grandmother, but there was no other alternative at that point. Fugitives, subject to having their house invaded at any moment and being arrested without the possibility of leniency or appeals, there was no way they could bring a child who had just taken her first steps. A revolution is no dinner party. No. A revolution most certainly isn’t a dinner party—soon Chico and Lígia would know exactly what this meant. From Her Mother’s Mother’s Mother and Her Daughters. Used with permission of Open Letter. Copyright © 2017 by Maria José Silveira.